High Surf Advisory: Watch out for Rip Currents - Yo! 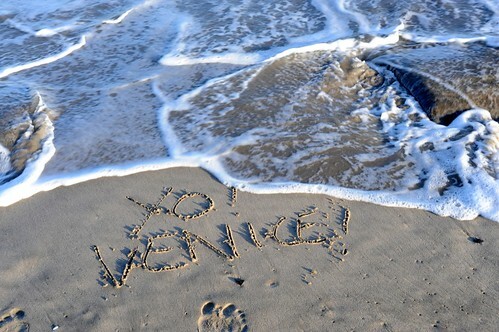 Venice! The National Weather Service has issued a coastal hazard message for Los Angeles. High surf conditions are expected through Wednesday morning which will continue at times through Saturday. Because of the high surf, dangerous rip currents like the one that killed a swimmer yesterday in Huntington Beach are expected to exist. A large long period swell will arrive in the coastal waters later this morning. This swell is expected to bring high surf to the Central coast by midday. This westerly swell will also bring high surf to west facing beaches of Los Angeles and Ventura Counties beginning later today. Surf heights will average 10 to 14 feet on the central coast and 6 and 9 feet surf will affect west facing beaches of Ventura and Los Angeles Counties. All beaches will also have locally higher sets through the day. Surf will begin to subside Wednesday morning. bring local sets to 8 feet across the Santa Barbara south Coast… south of Carpinteria.